ye 82 YEAR OF HIS AGE. 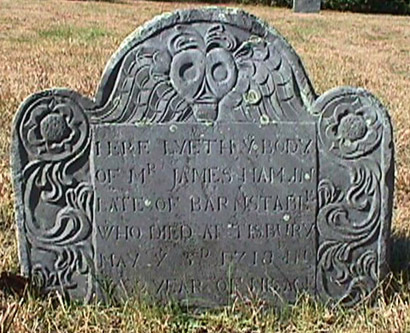 James Hamblin was the son of James Hamlin (probably of Reading, Berkshire, England) and came to Tisbury about 1715 in his old age. For more information, see Banks, Vol. III, pp. 184-185.